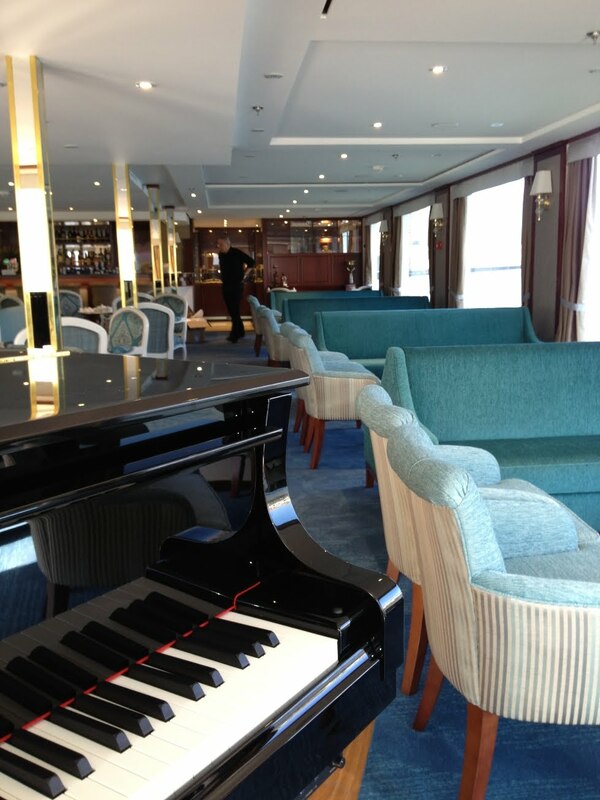 Uniworld Boutique River Cruises newest ship on Portugal's Douro River, Queen Isabel, was named by Hollywood actress, L'Oreal spokes model, and philanthropist, Andie MacDowell, in Porto, Portugal on March 22, 2013. On hand for the inauguration ceremony were a number of celebrities, including singer Michael Bolton, performing at the event, and European and local dignitaries. Against the backdrop of lights from Porto's skyline, Mario Ferreira, CEO of Douro Azul – Uniworld's long-term partner in Portugal, opened the ceremony in front of over 300 invited guests welcoming them to Portugal for the christening of two of their new ships. Mr. Ferreira spoke about the UNESCO World Heritage Douro River Valley, a beautiful but largely undiscovered region of Portugal, and the twentieth anniversary of Douro Azul. He continued speaking about the region and how tourism has developed over the two decades, and how river cruising has contributed to its growth. The inaugural celebration continued with a blessing of the ships, before Andie MacDowell was introduced as the Godmother to the new Queen Isabel. Carrying on the tradition of the customary smashing of a Champagne bottle, Ms. MacDowell christened the Queen Isabel. Speaking to the guests, Ms. MacDowell shared how she loved Portugal and was deeply honored to christen the Queen Isabel. Legendary musician, Michael Bolton entertained the audience with a number of his award-winning hits. As the inaugural ceremony concluded, guests were treated to a barrage of fireworks. The evening celebrations continued into the late night with a formal dinner of traditional Portuguese cuisine and its world-renowned Port wine—the oldest demarcated wine region in the world. After dinner, guests were treated to orchestral music before they danced the night away at an after dinner party. Uniworld's Queen Isabel, begins her maiden voyage on March 28, 2013 with a sold-out ship. She will have a 118 passenger capacity, with 18 junior suites and two bigger suites on the top deck that feature full balconies, and staterooms on the mid-deck that feature French balconies. Staterooms and suites are luxuriously appointed with modern comforts and conveniences, such as a flat-screen television with infotainment center and Internet, and marble bathrooms stocked with robes, slippers, and L'Occitane bath and body products. Public areas include a lounge with full-service bar, along with an outside bar; restaurant with an outside al fresco dining area; sun deck with heated swimming pool; and fitness and spa area. In both the lounge and restaurant, panoramic windows provide guests with views of the ever-changing scenery of the Douro's vineyard-clad hills and pristine landscapes. 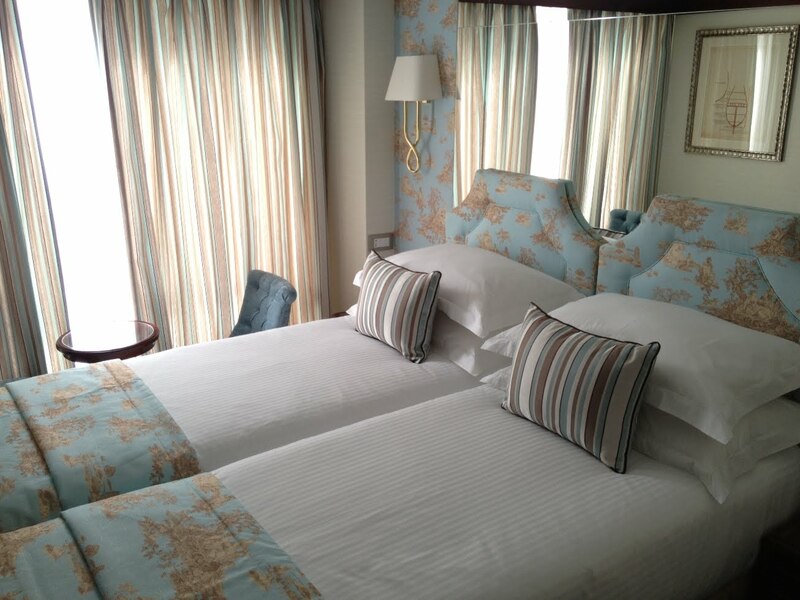 Throughout the ship, and in the suites and staterooms, different hues of blue, cream, and gold are used along with a variety of shades of Toile fabric adorning the walls. The rich and regal furnishings create a classic, timeless, and elegant ambiance, which is befitting since the ship was named after one of Portugal's most beloved queens from the late 13th – 14th century. Additionally, the Queen Isabel has a helicopter pad and has been designed with photovoltaic solar panels on the sun deck to sustainably generate energy for the ship's operating systems, which complements Uniworld's business philosophy on sustainable tourism and travel practices. Guests travelling on Uniworld's popular 10-night Portugal, Spain, and the Douro River itinerary will be treated to a host of inclusions and exclusives only available to Uniworld guests including: beautiful riverview staterooms; all meals onboard with complimentary fine wine, beer, and soft drinks served with lunch and dinner; 24-hour complimentary coffee and tea; 11 excursions, with 2 "Choice Is Yours" options, fully hosted by English-speaking local experts; 5 UNESCO World Heritage Sites; and all transfers on arrival and departure days.